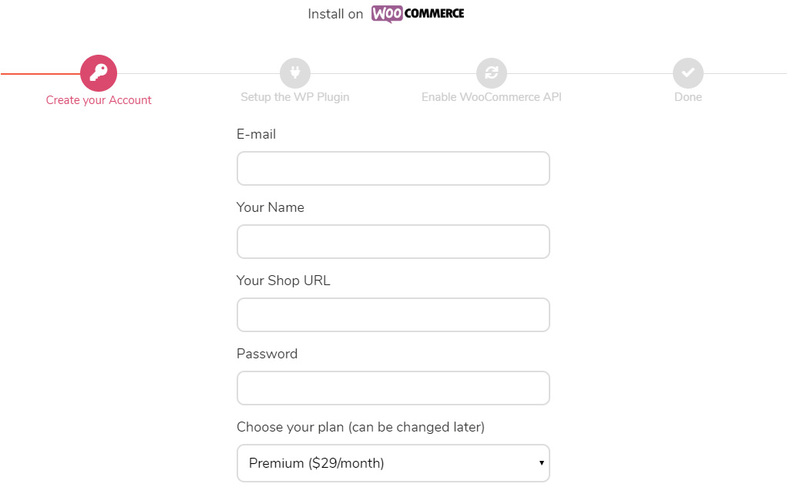 Copy the shown values from WooCommerce and paste them on the installation form, then click NEXT STEP to continue. 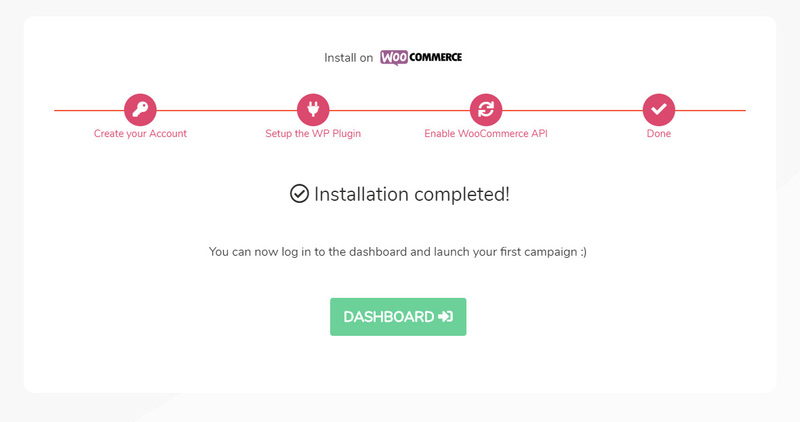 The installer tries to connect to your store to create the "CrazyRocket Track Conversion" webhook, you can check it from WooCommerce > Settings > Advanced > Webhook. If everything works as expected, the "Installation Complete" message shows up. Please contact us if you experience any issues, we'll help you to complete the installation process. Congratulations! 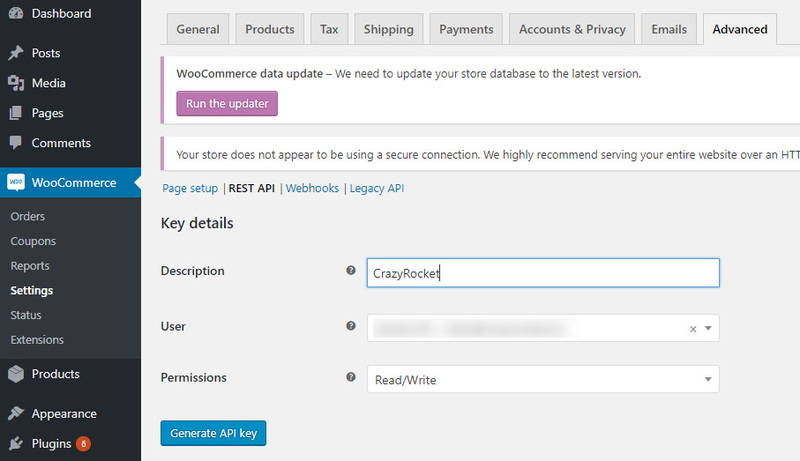 You installed CrazyRocket on WooCommerce. 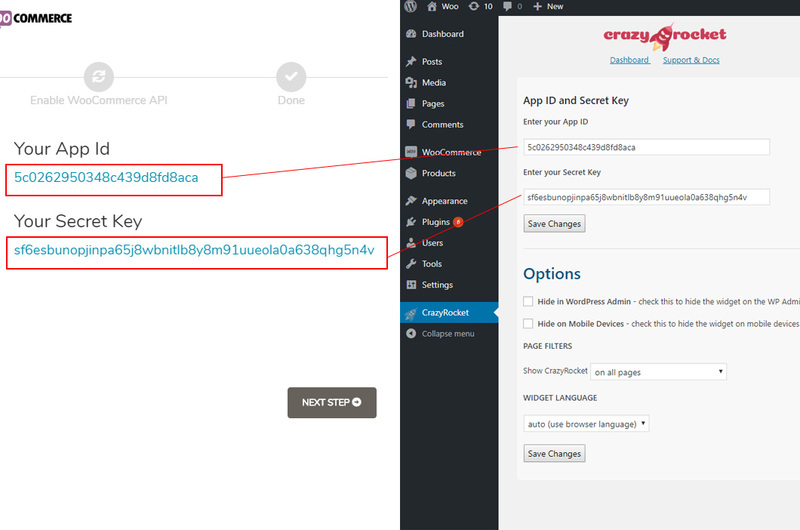 Now you can log in to the Dashboard and create your first campaign. READ NOW: How to create your first campaign.